During the process for writing my new book I had the privileged and opportunity to speak with hundreds of diverse people. I spoke to many immigrants illegal and naturalized. I had numerous conversations with many Hispanics on the issue of immigration, but more importantly on the issue of illegal immigration. What these many individuals imparted to me, for my book, was enlightening to say the least. I won’t say that the Arizona Bill is right or wrong, but here is what I will say. The Media has been all over this topic reporting this, investigating that, showing numbers and stats. And we, the masses, are tuning in and posting. Even our “leaders” and elected officials, who haven’t done anything of note in their city and who we haven’t seen or heard from in months, have also chimed in with their own share of face time about SB 1070. Even Los Angeles’ misguided Mayor Antonio Villarigosa convinced the city of Los Angeles to have all businesses boycott Arizona, but somehow the boycott didn’t extend to businesses, colleges or professional sports teams. There is so much misinformation on both sides of this issue. Are illegal immigrants employed in the low tedious work that a lot of Americans don’t want to do? Yeap. Is there a difference between illegal immigrant and an immigrant? Yeap. Why does the media and spokespeople seem to put them all in the same barrel? Coalition politics. The fact of the matter is that America, like it or not, is a nation of immigrants. And what that means is that the person next to you, the person you call friend, the person you know and love maybe an immigrant. However, the immigrants who have legally come to the U.S. do have a problem with the illegal immigrants from the Western border…and rightly so. Many immigrants that have come to the U.S. by boat or by plane and they had to wait in line, or they had a work/school visa. Many of them have taken naturalization classes and fulfilled all of the necessary steps to becoming a naturalized citizen of the United States of America. The fact is that most immigrants are white collar workers and and thus pay a large amount of taxes. The majority of American’s either supported the Arizona bill or something legislation close to it. There have been many assertions concerning potential police abuse, but doesn’t every law have the same potential? If you don’t trust law enforcement officials, then why trust them on anything. Why pass a bill at all? Why not just make the federal government enforce what is already the law? They are elected by us, so that means that they work for us. We don’t want them on television, we don’t want the sound bites and we damn sure don’t want the politics. What Americans want, not let me rephrase that, what Americans demand is action. Politicians will use the public emotions to get elected and then do nothing about the issue. Arizona appears to simply be one of the many battle grounds for a much larger American issue. What if the Arizona Legislature were to pass a law saying that Arizona would be an “English Only State”? And by English only no non-English store signs, no DMV with 11 languages printed forms, no banks using your money to print things in who knows how many languages, would that be divisive or unifying? President Bush sent 6,000 troops to the border and the problem became worse, so why is President Obama is sending 1200 troops to the border? Politics, and to generate good headlines that galvanize the base and Hispanic voter incase of a low voter turn out election. The United States deports over 1000 people per day, so even if immigration reform were done, it would only be part of the solution. 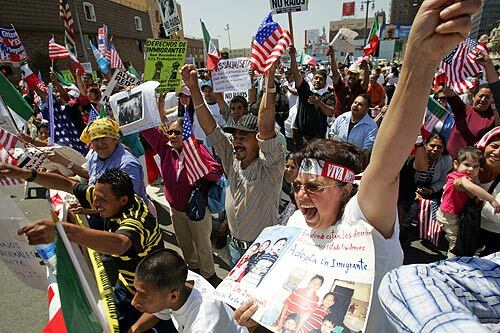 The DREAM act, would provide amnesty for many illegal immigrants living in this country, has been tabled by congress. As other states follow Arizona’s lead the federal government waste tax payer monies by filing a lawsuit against Arizona. The bill wont solve Arizona’s problem, if anything SB 1070 is a cry for help. Now here is the Truth. 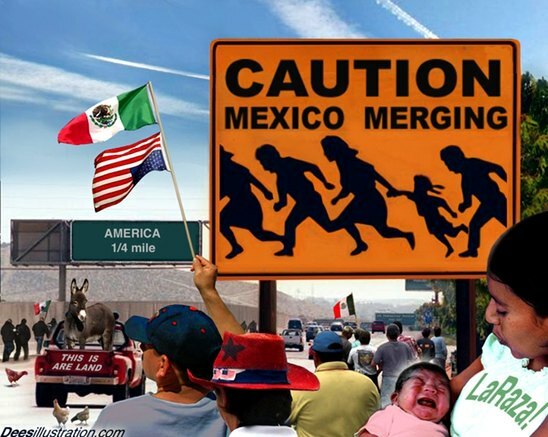 The border and immigration issue will nver be properly addressed because many non-latino illegal immigrants, who are in America have families with deep pockets. This is especially true on the East Coast, which enjoys a healthly amount of illegal immigrants from Europe. Also many illegal immigrants come from Asian countries and now live hear with their well-to-do children. The media chooses to focus on the Hispanic community because they have the least amount of in-country power. There are many illegal immigrants in America and only 70% of them are hispanic. The most important reason the border issues with not be resolved is because the FAA does not track airplane flights below a certain height. This means that if your airplane is below that height you are not tracked, don’t need to have a flight log and do not have to register your flight with the FAA. This is how the majority of human trafficking and drugs gets into the country. 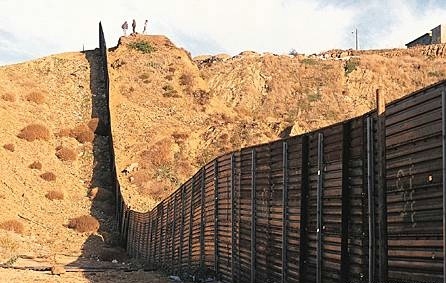 This is one of America’s dirty little secrets… The Border Issue extends to the sky. As long as the powers that be can keep the citizens and congress focused on what is happening on the ground, the skies are and have been wide open. 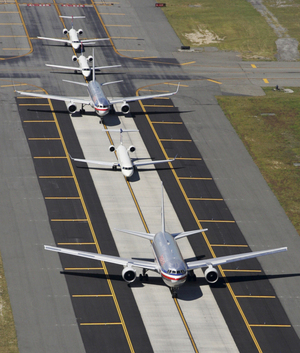 The FAA has admitted that they have not been about to track 120,000 planes in the United States, but somehow news agencies always reports the one commerical flight that has a problem. I don’t think that the people we see being arrested on T.V. and running through fields own a single plane, do you? While Home Land Security puts out warning and squeezes the average traveller putting them through invasive pat downs, making them wait in long lines, scanning them with radiation and repeated questions and searches, they have been letting those who own planes come and go as they please. I was shocked when I discovered this fact during the course of research for my book It Ain’t Just the Size. Furthermore, all of the immigrants legal and not that I honestly spoked to advocated Closing the Western Border, for a limited time period, “it’s chaos, if they don’t vote to close it then you know who they really work for”.